The Red Gate Art Studio is set within a tranquil manicured garden in the suburbs of Adelaide. The lush garden keeps the studio grounds both private and secure. 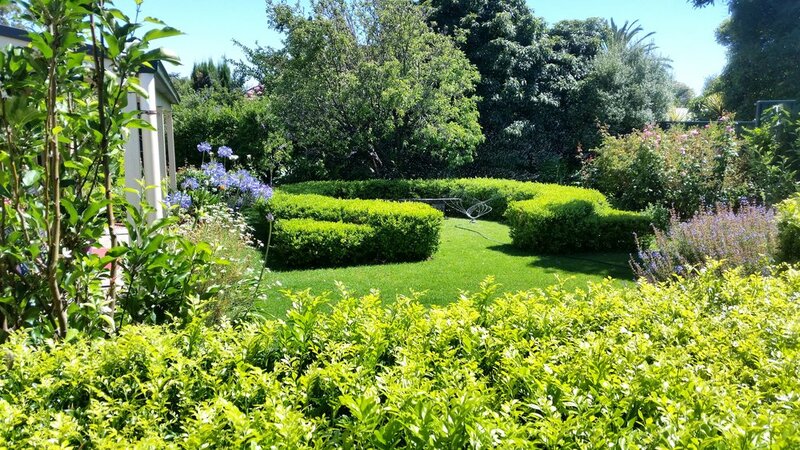 The garden is the perfect retreat for the creative mind, allowing total focus and attention to be given to the artistic process in an inspirational environment. Teacher Marie Louise lets her creative talent loose in the garden as well as the studio, filling the space with beautiful plants so that, no matter the season, there is something to admire just beyond the studio doors. "Amazing art school. Marie Louise is the most amazing art teacher I have come across." "Keep up the great work you are doing with the students." "Red Gate art studio is dedicated to the teaching of art to children and young adults. A wonderful studio, a great teacher. Check it out; help your young ones on their journey into painting and self expression"
As students explore the process of making art, they develop and learn. They learn to take risks, to problem solve, to apply knowledge, skills and techniques. They develop ideas and flexibility; they communicate, build resilience and demonstrate persistence; they learn to take initiatives, to plan, and to organise.